Date of Birth / Birthday / Age 27th March, 1987. As of 2019, her age is around 32 years. Reshama Shinde was born and brought up in Mumbai. Her height is around 5 ft 3 inches. Her role as Purva in the serial Lagori Maitri Returns, was popular and struck a chord with the audience. She was first discovered in the talent reality show Maharashtrache Superstar, in 2010. This led to an offer from the TV show Bandh Reshmache, followed by her most popular role as Purva in Lagori Maitri returns. 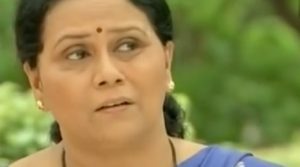 In 2016, she played a negative role of Swanandi’s elder sister in Zee Marathi’s show Nanda Saukhyabhare.